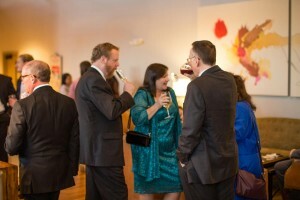 74 South at Moretz Mills is Hickory, NC’s premier event venue for weddings & receptions, corporate meetings, private parties, and social gatherings. 74 South at Moretz Mills Event Venue is Magnificent, Elegant, Unique, and Historically significant. 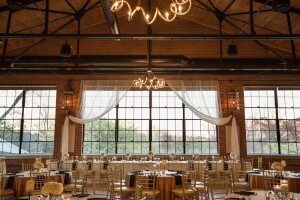 All are terms that describe 74 South at Moretz Mills and yet no one adjective fully describes this amazing 1920’s Hosiery Mill turned wedding, corporate and special event venue. Nestled conveniently in the foothills of North Carolina, 74 South at Moretz Mills features a large ballroom, 3 private event rooms, open and airy main lobby, beautiful lighting from chandeliers and oversized windows, imported custom bar from Wales, state of the art sound system, projection screen, and smart televisions, all steps away from our large parking area. At 74 South, we are able to accommodate up to 350 guests or cater to more intimate events in one of our three private meeting rooms that can accompany 10-40 guests. From memorable wedding receptions and milestone anniversaries to holiday parties and fundraisers, 74 South at Moretz Mills has versatile spaces and an expertly trained staff to host your next event. 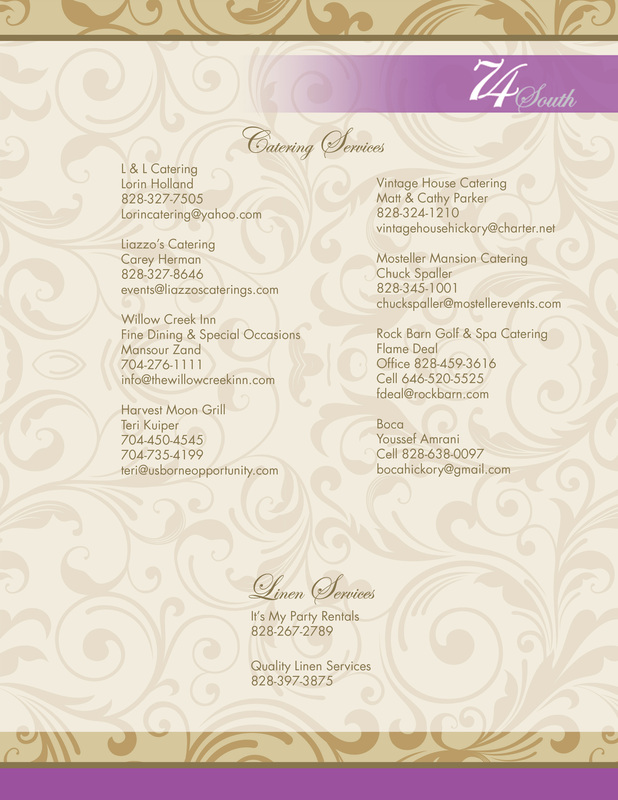 For a complete list of our preferred caterers and their contact information, download our Catering & Linen Services brochure. 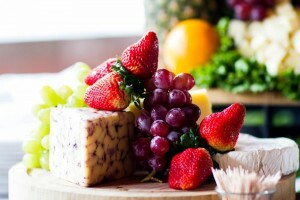 74 South at Moretz Mills Event Venue is equipped to handle all your catering needs.